I jus bought one, except mine is plum at the back and not black. I personally think that the price which I paid for the phone – it’s worth every penny! I just want to let you know that at the bottom piece of the phone, on the bottom right hand corner, is the stylus (i.e. digital pen), that’s the first thing i saw when I got the phone. Thanks for the appreciation mate n congrats on the phone. However one thing i’m really curious about is the battery life… Hows that? Hi, I bought one of these from replicaphones.co.uk works a treat and no issues at all. Even got 800 ringtones on a CD. where can i get a nokla pc suite?? mzkoo7, I have no clue. I dont think the chinese put it up on a website! May be Chris got it along with the ringtone cd?? How do i use the dual sim card its like not working for me…. nice2me4u@yahoo.ca will any answer….good answer that is!! hey … i have same phon but my usb charger is broke … how can buy a new charger ? do u now some site there I can order a new ?? Can you cojnnect this phone with a computer? Just switch on bluetooth, pair it to the computer. Select Dial up Networking from the Bluetooth menu and then enter *99***1# as the phone number to dial and you are good to go. 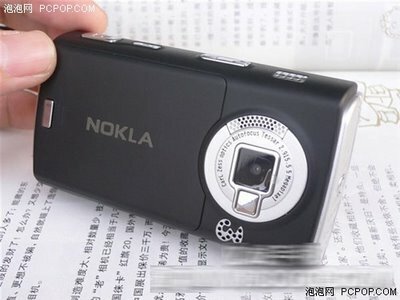 I have one nokia N95 china made with touch screen . It having restart problem when switch on with sim card. Plese send me tips for solve this proble,????????????? Hi ,Can anyone please help me where to find the software for this mt6227 or nokla N95, i have purchased one i am very happy of the looks and the functions but without software i really feel that this phone is not a better stuff .so could anyone suggest me where do i get the software for this phone.anyother softwares ie mobile softwares are not supporting. Hi can anyone help me with the softwares where to get the softwares for this phone. i need to help me for my phone nokla n95 or mt6227 i dont know haw to switch the secound camera.